Sound captured for playback entertainment. Posted in: Blog, YouTube Video. Tagged: Andy Burnham, FA Cup Semi Final, Hillsborough Disaster, ITV, Kelvin MacKenzie, Liverpool, South Yorkshire Police, Sun. Hillsborough: 23 Years of Injustice. Liverpool fans desperately try to climb the fence onto the safety of the pitch. On Saturday April 15th 1989, the Hillsborough Disaster took place when 24,000 Liverpool fans arrived at Sheffield Wednesday’s stadium, in Hillsborough, (a neutral ground) for the televised FA Cup semi- final against Nottingham Forest. The match was abandoned after only 6 minutes of play. For anyone that saw the match (and I sat -with my dad and brother- watching the TV, at home in Sheffield), there was ‘what seemed’ only a moment of madness and the disaster happened before anyone could intervene. The controversial front page of the Sun. 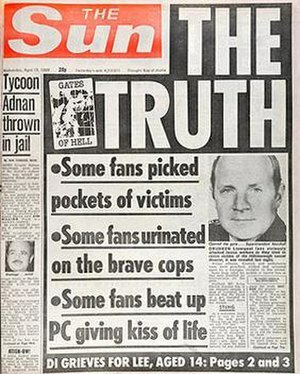 At the time, The Sun claimed (via headlines) that it was “The Truth,” when they claimed that the 96 dead were unruly. – Cops smeared Liverpool fans to deflect blame. -41 lives could have been saved, says new probe. 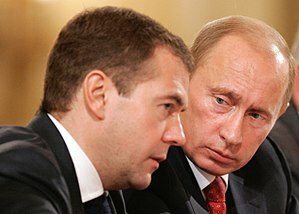 –SUN: We are profoundly sorry for false reports. 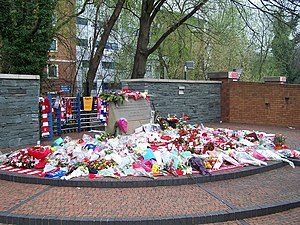 -Families of 96 victims call for prosecutions. After (12/09/2012) last night’s vindication, the country feel that The Sun headline needs to apologize properly; even though a sorry is in the editorial today. They now blame the police reports for their reporting, Claiming they are sorry for their profound error, and the headline “The Truth”, written by former editor Kelvin McKenzie. The Sun reported back then that drunken Liverpool fans urinated on and stole from the dead. However, has their been a perversion of justice? Andy Burnham MP (Labour’s Shadow Health Secretary) had plenty to say about this issue on ITV’s This Morning today. 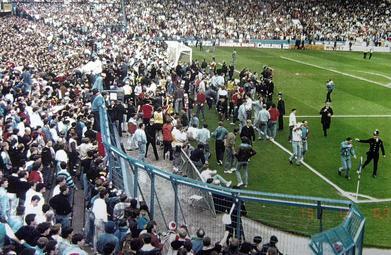 An MP, a Coroner, and the police were in congress to make it seem like the 96 dead were at fault. A huge police cover-up and the altering of reports by police chiefs it is claimed is at the heart of this issue. The Chief Constable for South Yorkshire Police (David Crompton) has issued an apology. It has been reported that police chiefs simply put a line though reports and rewrote them. I believe, Senior officers in the police should now be accountable, after the empty lies portrayed for all these years! Hillsborough ground had a licence that was 10 years out of date.and the media frenzy demonized football fans in general and Liverpool fans in particular. so who is to blame? Certainly not the 96 who were innocent victims of a stadium that was overfilled. Certainly not the families who have had their loved ones be-smearched by press, police, and inquest staff. But the police? The FA? The British press? The coroner and inquest staff? All of those have blood on their hands. And for Sheffield Wednesday’s ground -which will never be the same since that day- the touch of disaster cannot ever rub-off.